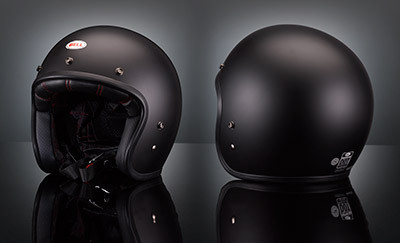 The characteristic of Torx Wyatt open face helmet is the excellent finish and robustness. It's a helmet well proportioned and elegant. 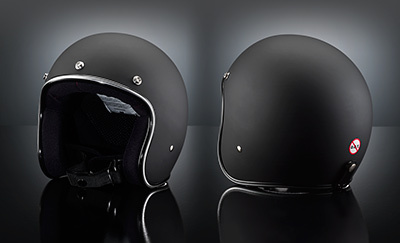 Ideal for those who prefer a small size helmet without sacrificing solidity, ease and lightness. Robust and well finished is the Premier model U9BM custom helmet. The excellent carbon aramidic fiber lid is well-proportioned and enveloping. The helmet is equipped with a practical retractable sun visor in color tinted. 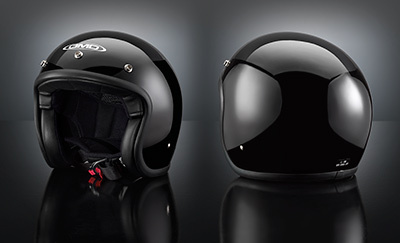 This helmet is a remake of the legendary and famous "Shell" of the '70s. The helmet has been designed in order to obtain a small "Shell" ECE approved: small size with a perfect fit and maximum compactness. 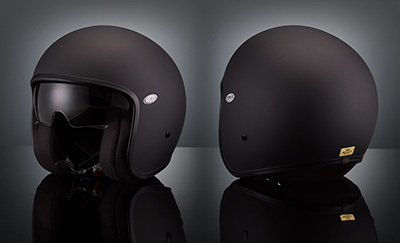 Light and comfortable DOT-compliant 3/4 lid: a helmet that meets or exceeds US DOT standards. Bonanza's interior features a custom-shaped EPS safety shell and a hand-stitched liner with moisture wicking brushed Lycra panels and open-cell foam padding for breathability and comfort. Bell’s Custom 500 pays homage to Richter’s original design while adding modern protective technology to bring the design up-to-date. The excellent finish, its strength and the snug fit, but not constricting, makes this helmet an high quality and safety product. 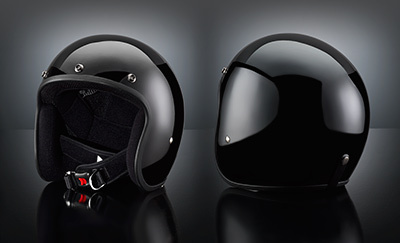 The Bullitt is an iconic product, a helmet rooted in a storied past mixed with a style and design that could best be described as retro-future. Inspired by the Legendary Bell Star helmets of the 60s and 70s, but speaking a modern design language the Bullitt became an instant classic the moment it hit the streets. Helmet "Old School" made in ABS plastic. 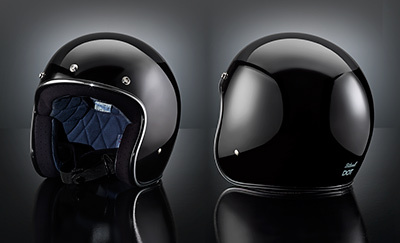 Thanks to the very flexible shell and the soft sponge inside, the helmet in one size and fit for sizes from M up to XL. The clips accept visors and bubble shields. A vinyl goggle strap retainer on the back of the helmet completes the retro look. 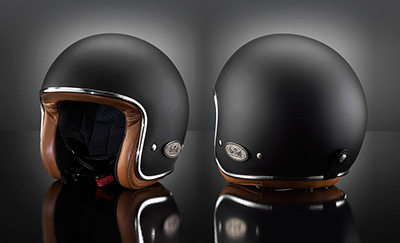 High-quality helmet entirely handmade in Italy. The interior in genuine lambskin are hand-sewn and they are available in different colors. Elegant and refined, lightweight and comfortable fit, Available with or without clip for visor. 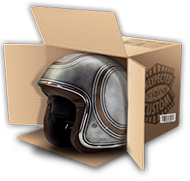 The ECE approved helmet smaller and wrapping available in our catalog. 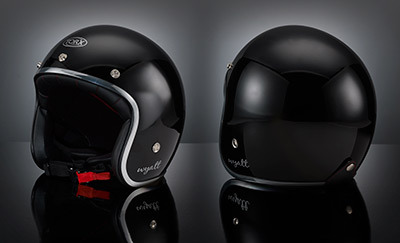 The lid is comparable in size and proportions to the not approved Biltwell Novelty helmet. Available in size S through XXL. The shells on which we execute our artistic works are generally Jet Open Face helmets. 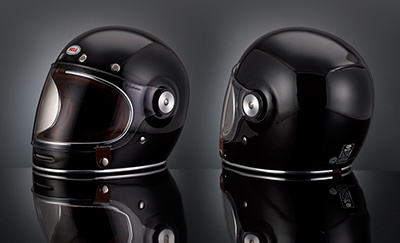 These helmets are well suited to customization, both for the vintage style, which according to their technical and "mechanical" features: providing a uniform surface, without undercuts and mechanisms that disturb, both the artistic realization, that the aesthetic continuity. Each helmet, made in a workmanlike manner, need to be prepared: sanded, prepared with gripping paint etc. Our helmets, as well as tanks, etc. are worked with a "luthier philosophy". In this section are indicated the models, features, approvals, measures and prices that we offer to our collectors and biker. The not approved helmets are to consider as a product for collectors use. Their use is under the responsibility of the customer.